As September dawns, undergraduates all over America will get ready to return to their classrooms.Those who are freshmen have a world of new experience awaiting them, not all of it pleasant. One particularly ugly fact that these young students will soon confront is a faculty still peppered with aging countercultural retreads from the 1960s and 1970s.These are the "tenured radicals" of whom Roger Kimball wrote so devastatingly in 1990--those former potheads, protesters, and Rolling Stone freaks who now dwell in the various humanities departments of a great many American colleges.They've come a long way since Woodstock, but most of them have learned nothing.They remain viscerally leftist and countercultural, and are desperate to pass on their proclivities to a new generation.By the way, it's even worse in Europe, where practically the entire infrastructure of education is dominated by sentimental dirigistes, all of whom still get wet dreams over the Parisian summer of '68. 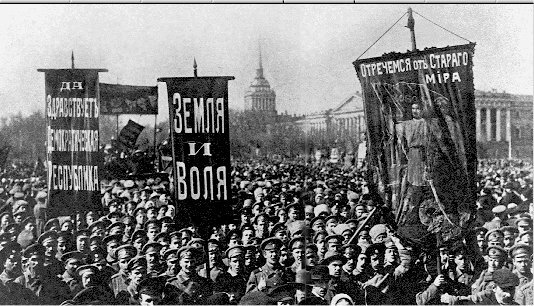 One of the myths of liberal orthodoxy is that there was a sundering difference between the Old Left (represented by communists, socialists, Trotskyites, and generic Marxists) and the New Left (represented by protesting students, social rebels, and SDS-Weathermen types.But it is just a myth.The Old Left and the New Left had different tastes in music, that's all.Their political goals were essentially identical--the degradation and destruction of the West, and its political subservience to some collectivist dictatorship run by an elite of ideologues.The Old Leftist wore a tweed jacket and attended Columbia, where he sat in uptown cafes discussing the Spanish Civil War and the Comintern.His son, the New Leftist, wore long sideburns and combat boots and attended Berkeley, where he smoked pot and discussed how best to help Ho Chi Minh.The differences were merely accidental, not substantial.Both were sworn enemies of human freedom. The following new section from A Gallery Of Ethopaths was written with both these sorts of left-wing fossils in mind.And to all incoming freshmen I say the following: Take heart.You only have to put up with the tedious Marxist buffoons for four years.After that, you can forget they ever existed. Than those who spout the Party Line. They must be getting pretty weary. That threatened with a nuclear bolt. And given up subversive schemes. Smash the hammer and the sickle. And commissars are put to shame. Still beating on the Marxist drum? In Berkeley or in Cambridge, Mass. And Stalin's purges did the same. Released from pain and selfish strife. What a sick, pathetic bunch! Drone on about "The Revolution,"
To our whole planet's set of woes. Would wake up from their mental slumber. That Communism had to offer. The "Party Line" is just a bore. Or whining about surplus labor. And shove them in a trash compactor. Where Marxists don't yet have aphasia. Plowing earth in North Korea. If the menu is not visible, select Back button on your Browser.